Auto-swipe was demoed by a Mailbox team member who explained “With just a tap, I get less email tomorrow than I did today.” Most people end up archiving the same annoying spam day after day, but are too busy or lazy to actually hunt down the unsubscribe button and go through the process. 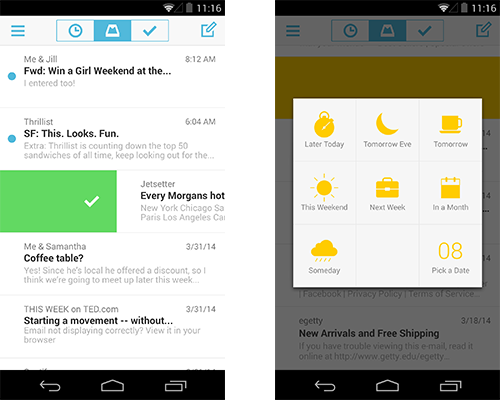 Mailbox’s Auto-swipe makes banishing marketers and other distractions much easier. It learns from your archive swipes and snoozes to determine patterns about what you don’t want to see or want hidden for later. It can then preemptively apply that pattern to future email so it’s taken care of before you even see it. Your deduced preferences are synced by Dropbox so they’ll follow you across Mailbox interfaces and devices. Auto-swipe is launching on Android, will come to iOS soon, and should be on desktop when that version debuts. Email is inherently cross-platform. We take care of it whenever we can, whether that’s at home or on the go. 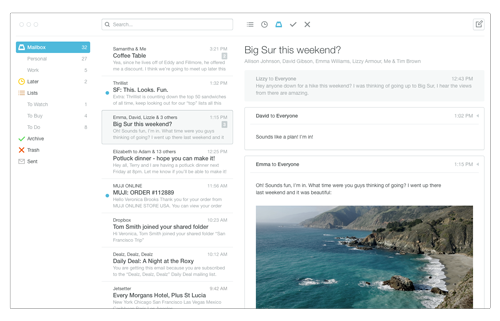 Lack of a desktop version might have disuaded some from using Mailbox. Soon it will be everywhere, though, and it can take on the real challenge: beating Gmail.